The failure of New Zealand’s current health and safety legislation to require positive action by directors and senior management is a major flaw, according to the Ministry of Business, Innovation and Employment (MBIE) commentary on the recently released Health and Safety Reform Bill Exposure Draft. The Exposure Draft was released in October 2013. While the time for feedback has passed, there will be further opportunity for input once the Bill is introduced into Parliament. The key concept of a ‘person conducting a business or undertaking’ (PCBU). The key concept of “officer” for the liability of directors and senior management. Descriptions of the key players, the key duties, and adjustments of where the key duties fall. The tests of whether the key duties have been met. The adjusted worker participation system. The new concept of ‘adverse conduct’ by a PCBU against employees or contractors who raise safety concerns; this can result in both prosecutions, and civil claims. The central duties in the Bill fall on a PCBU. A PCBU includes a person who conducts a not for profit undertaking but it does not include purely volunteer associations. It excludes home occupiers who engage other persons to do ‘residential work’ in relation to the home. Other classes of persons may be exempted from the application of the legislation by regulations. ‘Volunteer association’ means a group of volunteers working for community purposes where none of the volunteers employs anyone to carry out work for the association. So ‘not-for-profit’ organisations which have employees fall within the Bill. PCBUs must ensure, so far as is reasonably practicable, the health and safety of workers engaged - whether by the PCBU or others - in the business or undertaking. This duty also applies to workers whose activities are influenced or directed by the PCBU. So the worker does not need to be an employee or contractor of the PCBU. ‘Officer’ is a key concept because there are positive ‘due diligence’ duties imposed on ‘officers’ of PCBUs (see below). Failure to discharge those duties can result in imprisonment of up to five years for individuals or fines of up to $600,000. For corporates, fines of up to $3 million. for other bodies, any person occupying a position comparable to that of a company director. Trustees will themselves be the person conducting the business or undertaking, and thus exposed to liability. ‘Officer’ also includes any person who ‘makes or participates in decisions that affect the whole, or a substantial part, of the business of the PCBU’. Specific examples given in the draft Bill include the Chief Executive or Chief Financial Officer. This raises issues about who within the ‘C‑Suite’ of management of an organisation is caught. The management layout of the organisation will be a factor. Will a ‘Director of Human Resources’, who is a member of the C‑Suite, be caught? What about a ‘Human Resources Manager’ or ‘Administrator’? ‘Officer’ includes elected members of the Councils of Territorial Authorities, various statutory Boards (for example District Health Boards) and Incorporated Societies. Ministers of the Crown are excluded. Whether elected members of City Councils or District Health Boards will be liable has been left for further discussion and feedback. We expect adjustments to the Bill to preclude liability for this group. While an Officer of a PCBU can be convicted of offences, including failure to exercise due diligence, volunteers are exempt from prosecution in all but very limited respects. ‘Volunteer’ means a person acting on a voluntary basis. For example, members of School Boards of Trustees would be ‘volunteers’. There will also be some specific exclusions of some specialist bodies from being PCBUs; Australian regulations exclude strata title Bodies Corporate, for example. A PCBU must ensure (note the more emphatic language), so far as is reasonably practicable, the health and safety of not just employees, but also contractors who are engaged or caused to be engaged by it. A PCBU must also ensure the health and safety of workers or contractors whose activities are influenced or directed by the PCBU. Duties are owed to ‘workers’, defined to include employees, contractors and subcontractors and their employees, employees of labour hire companies, people on work experience, volunteers and others. There can be multiple PCBUs for a particular site or activity. The Bill also refers to ‘upstream’ PCBUs such as: designers, manufacturers, or suppliers of plant, substances, or structures. So a property developer, and the construction firm engaged by the developer, the principal contractor, the subcontractors, and the designers and suppliers of plant and materials put on to a site will all be PCBUs with regard to workers engaged on the site. 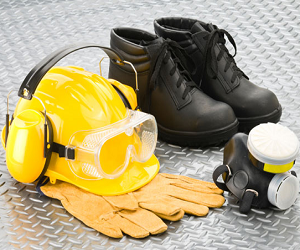 While at present an employee who is dismissed or otherwise disadvantaged due to raising a health and safety concern could bring a personal grievance, this protection is considerably extended in the Bill. Contractors and others will also get protection. It will be an offence, and a basis for civil proceedings, to subject any employee or contractor or other person to disadvantage by reason of any concerns they express over health and safety matters. For criminal liability, fines of $500,000 can be imposed on corporates, and $100,000 on individuals. In the civil proceedings, both injunctions and ‘compensation’ can be ordered. A reverse onus of proof applies in both the criminal and the civil proceedings. The ability to bring civil proceedings may be used as leverage in civil disputes about contract performance; a sacked contractor may allege the principal ‘fired’ them because they raised health and safety concerns. verifying that the resources and processes have been provided and are being used. Both the Minister of Labour and MBIE have made it very clear that the objective of this key part of the legislation is to induce directors and senior management to proactively manage health and safety. They will be expected to set the direction and provide leadership. It will not be enough to say that lower-level management has been instructed to ensure appropriate provision is made for workplace health and safety. Legal advisers have a crucial part to play in helping clients get ready to achieve compliance.